Surviving sub-zero temperatures is a natural ability possessed by many creatures but Alaskan Wood Frog is a truly miraculous frog species. This little hopping creature freezes itself in the winter and then springs to life in the spring season. 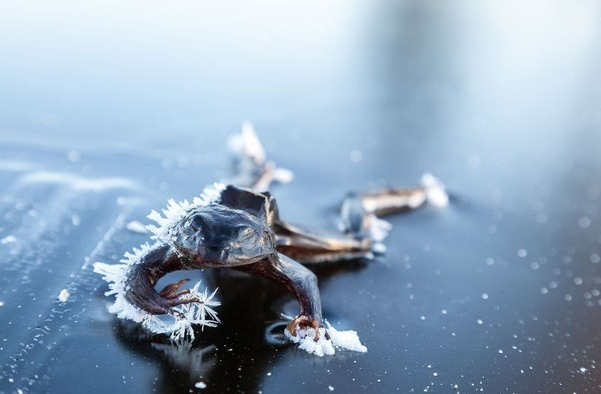 Found in the east of Alaska, the Wood Frog (Rana Sylvatica) doesn’t show any sign of breathing or heart rate as it freezes two-third of its body water during harsh winter days. 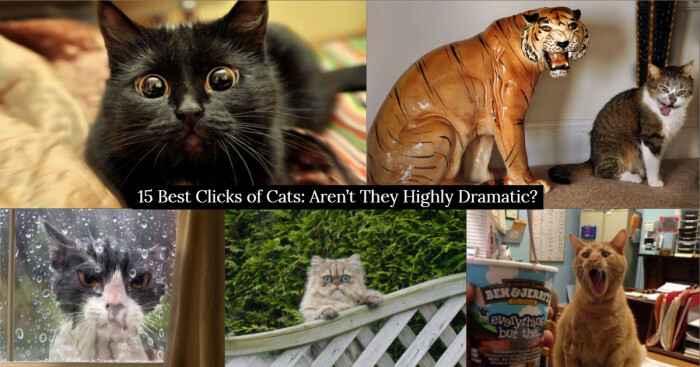 And on the onset of spring, it thaws out and hops into its normal routine. The Alaskan wood frogs dwell in forests and breed primarily in ephemeral, freshwater wetlands or woodland vernal ponds. Long-distance migration plays a crucial role throughout their life. The genetic neighborhood of individual pool breeding populations is more than a kilometer away from the breeding site. What Do The Amazing Alaskan Wood Frogs Feed On? 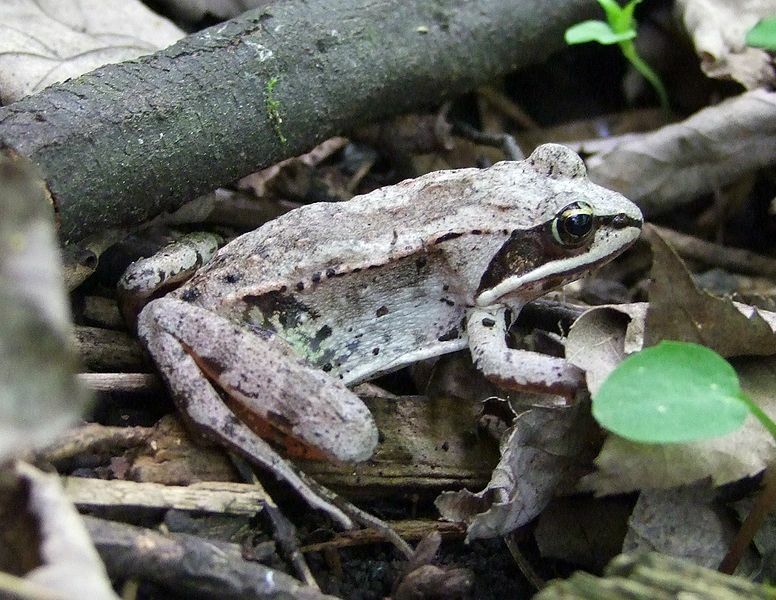 The wood frogs feed on diverse small, forest-floor invertebrates. The tadpoles are omnivorous who feed on plant detritus and algae, and also on the eggs and larvae of amphibians. Wood frog’s feeding patterns is same as that of other ranids. It is triggered by prey movement and a bodily lunge that leads to opening of mouth and engulfing the prey with the tip of its fleshy tongue. How Does It Survive In The Bitter Winter? 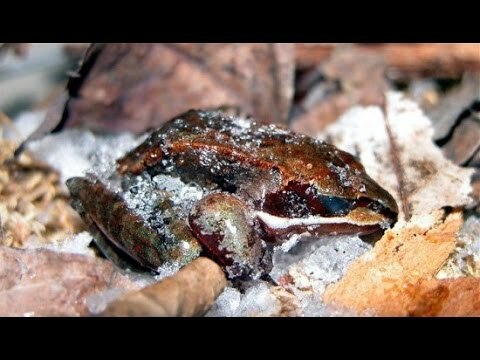 In order to understand how the Alaskan Wood Frog anti-freezes its two-third of body water, the researchers at the University of Alaska, Fairbanks conducted a 2-year long study in 2014. They glued small nickel-sized radio transmitters on the backs of 16 frogs. This helped researchers in knowing where the frogs made their hibernacula and where they planned their overwinters. When the frogs settled, the researchers had set up little cages over the divots and recorded temperature at regular intervals with a wire thermometer. 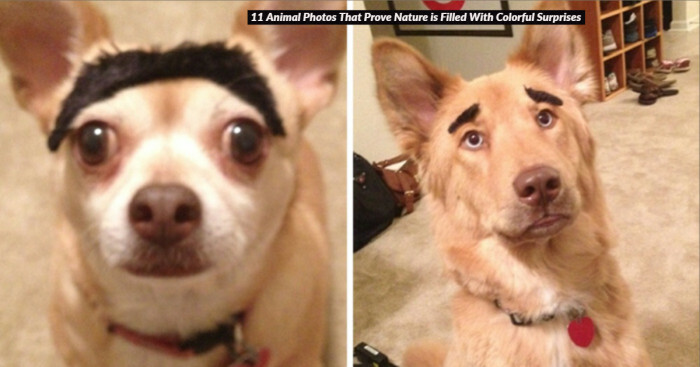 The researchers also observed that the frogs didn’t freeze once and kept frozen throughout. They spent a week or two freezing at night and unfreezed during the day until the temperature drops below freezing. The researchers believed that the thawing and freezing patterns helped the frogs in converting more glycogen into glucose. 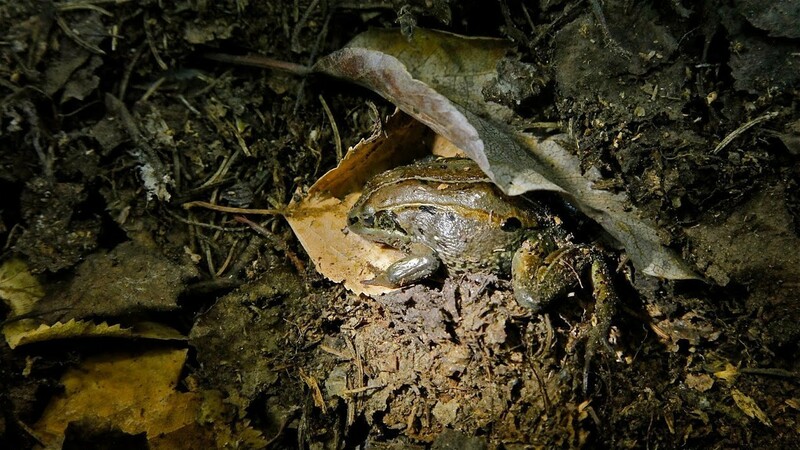 This was essential because the high levels of glucose in the frogs' cells kept them alive during the winter.